Good MORNING! 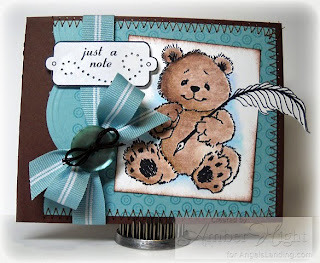 I have a fun Angel's Landing card to share today using a really fun set called Mini Bears and Birds! Isn't that bear cute? I love the calligraphy pen he's holding, I thought it worked perfectly with the sentiment from Pierced Tags! 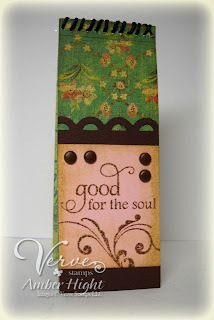 I stamped a background image from Background basics:Retro by PTI in Baja Breeze ink on a piece of Baja Breeze cardstock. I colored the bear with prismacolor pencils and added shading as well. Oh I just like that word, it fills my heart with funky, eclectic, MOXY FAB visions of all the fantastic rubbah I have waiting for me in my craft room:) Angela has a project of mine on her blog today so check it out! 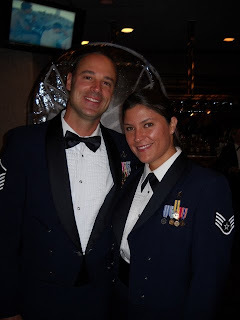 If you're here from Angela's blog, WELCOME:) I'm glad you came by! This card uses the amazing September KOM, "Go ahead...Wish". 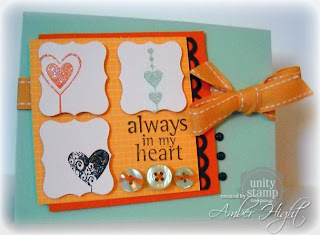 I stamped each of the three heart images and then punched them out with my Curly Label punch by SU!, I kinda kept them off-center for interest:) I like it! Thanks for stopping by, I love it when you do! I think I found my Christmas card design! Wow, CAS is where it's at, lemme tell ya! 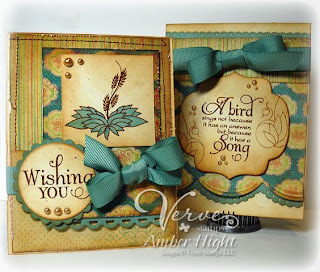 You know me and all my layers and "schtuff" but I really am tired today and had to make a few other cards for assignments tonite so when it came time for my Monday Challenge Chicks card, I didn't have any wind left in my sails! So I decided to go CAS and I love it! This card took me maybe 3 minutes and 37 seconds. Seriously, SO FAST! The tree/ornaments stamps are from Tree Trimming Trio and the sentiment is Dawn McVey's gorgeous handwriting, from Signature Christmas, both sets by PTI. I have always wanted a pink tree, like Heidi Swapp used to do, lol! 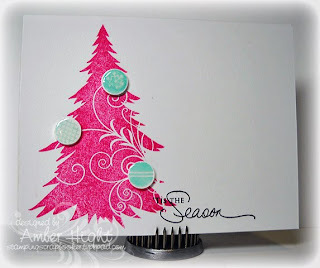 BRIGHT HOT PINK with lots of glittery ornaments! I say I always wanted one, but when it comes down to it, A)my husband would NEVER allow it, and B)I would chicken out and stick with my old faithful GREEN tree because I really do love it, lol! Check out what the rest of the chicks came up with for Christmas Cards! Have a fantastic Monday! See ya tomorrow with UNITY! 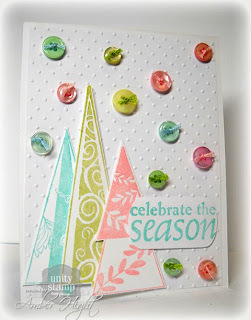 Well I was originally making today's card for today's Featured Stamper challenge on Splitcoast but in the end, it looks absolutely NOTHING like the original, lol! Do you ever do that? So in the spirit of the challenge, I'm not going to submit it as my card for the challenge. I will, however, show you which card it was that I was trying to CASE and to give credit where it's due, because it really did inspire my card! I love the three panels and the offset sentiment element, but my card just wasn't cooperating so I just let it take me away, lol! I made the background with Faux Ribbon and Background Basics: Retro! I saw Dawn McVey make a cool plaid pattern and tried to replicate it, I failed, lol! It's cool, I still like how mine turned out! I colored the flower and leaves from In Bloom with my Copics (and a little STICKLES, just 'cause, lol!) The sentiment is from the same set as well. **So I just about had a heart attack. You know that feeling you get when your kids have been playing in the backyard and it's been super quiet for far too long and you suspect something is wrong? Well I don't know how that feels for human kids, but I just felt it with my furr-kids. AND we're doggy sitting for a friend. Well we peek outside and see our gate is open and NO DOGS!!!!!!! OH. MY. GOLLY. My heart went into my BRAIN! I almost started to cry because seriously, those dogs are my pride and joy! Plus, did I mention we were DOG SITTING? How awful would it be to tell him we lost his dog? Well, Billy proceeds to run through the neighborhood looking for them and I hop in my car (This all happened while typing the beginning of this post, lol!) Just as I'm backing up, I see Luke trotting up the street, with Jesse trailing right behind him. We found Cocoa (the dog we're sitting) outside our back gate just after we found out they were gone, and thank goodness because he doesn't know the neighborhood like mine do. He got out a couple days ago (snuck out the door behind me) and I had to chase him for 10 minutes before he stopped and I could haul his dumb A%& back home. AAAAAAAAAAAAHHH! The dogs are quite pooped and look pleased with their little taste of freedom. Hey there friends! Digiments is have another great release on Saturday! 30 Digiments in total will be released - priced at $1 each ($1!!!!!!!!) with a $5 minimum purchase, or $15 for the entire new release (thats 50 cents each! Yes, my mathmatical skills amaze even me...)!! What are digiments you ask? A digiment is a digital sentiment that you just print onto cardstock (resize, change color, whatever you want! Check out THIS post for tutorials!) and then create a card as you normally would! Michelle is just great with combining fun fonts to create amazing little "digiments". The sneak peeks have started on the Digiments Blog so head on over to see what she's got! 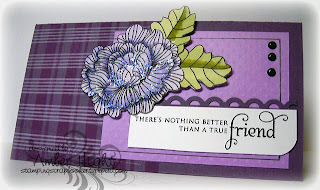 Here's my card using one of the Favorites digiments and BFFabuggs by Stamping Bella! Isn't that a fun mix of fonts? 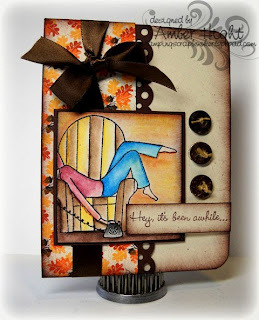 I adore it and the sentiment, ahem, DIGIment goes so well with many of my friend stamps! I colored the bffabugs with prismacolor pencils and gamsol. The cardstock is Spring Moss, Sweet Blush, and white by PTI. The dp is digi paper and I think I got it from Sweet Shoppe Designs but can't remember, I'll update this post when I figure it out, lol! Thanks for stopping by, make sure to check out the Digiments Blog for more peeks and inspiration from the rest of the DT! I finally got a SCS sketch challenge card done! I've been meaning to do these for the past few weeks and something always comes up, and then I forget! NOT TODAY though! As soon as I saw todays sketch I knew I had to make time, I love layers and this sketch has some super fun ones! I used Who's that E-Girl by MFT and paper-pieced the wallpaper and couch. I colored the skirt, shirt, and bottom of the couch with prismacolors/gamsol and then colored her skin with my Copics. Well that's all I have for today, thanks for stopping by! I'll be here tomorrow with UNITY!!! Well, not really, at least here, lol! It's still hotter than, well you know. 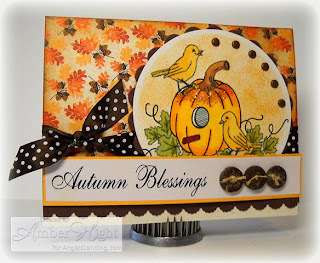 I did get in the fall mood today though because the Monday Challenge Chicks' theme today is Thanksgiving/Fall cards! 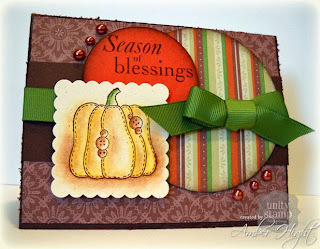 I have always been an earth-tone girl so I think that's why I love this season for making cards, lol! Right in my comfort zone! 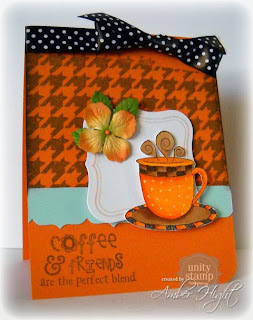 For my card, I used the pumpkin and sentiment from the September 2009 KOM "Go ahead, Wish" by Unity! The paper I used is Apple Cider by SU! It's retired now, from last years mini I think. Wanna see what the other chics have for you today? AJ, Brookie, Jeanne, Jimmi, & Maren. I did get another card done today (We didn't have to work today, yeah!) 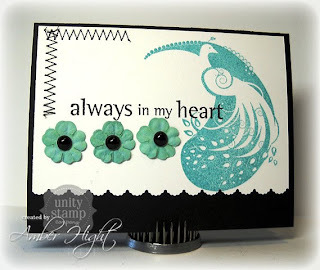 It's for yesterday's Featured Stamper Challenge on Splitcoast! 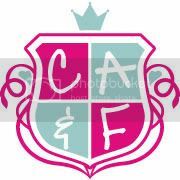 Tankgrl has a really fab gallery and I decided to case THIS one. Isn't it beeeeUtiful? 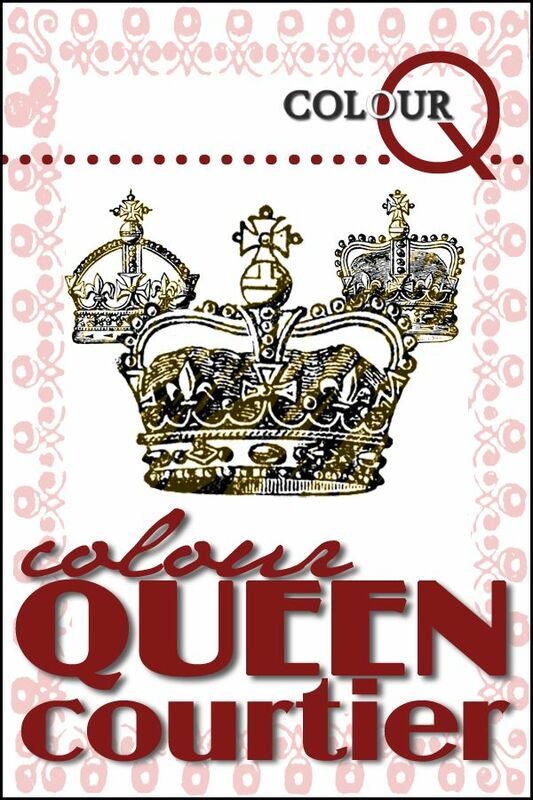 Here's my card using Call Me by MFT. I love how she's slung over her chair chattin' on the phone, so cute:) I colored the image in with prismacolor pencils and gamsol. The paper is by PTI (Autumn Abundance). Have a great Monday, see ya tomorrow! Angela and the Unity crew have some serious fun lined up for us for the next few months! Make sure to stay tuned and visit the Unity Forums on Splitcoast often for updates! Today, the DT are showcasing all the wonderful rubber that was introduced at Summer CHA a couple months ago! GOOD stuff! Don't you love this cute beaver? OMG I do:) And I do realize that the sentiment was really made for the squirrel but I don't care, I'm a rebel and that's how I roll! 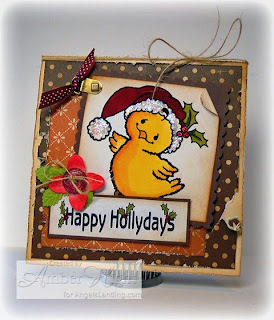 :-) I also used the new Grainy Background stamp! Holy heaven in rubber, such a fun stamp! So have you been liking what you've seen so far? Make sure to hit ALL the DT blogs, you don't want to miss ANYTHING! Labels: Unity, Who DOES that? 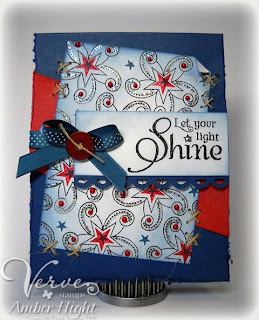 Day 2 Verve Sneak Peeks! This is the first of two posts today! Rare I know and probably you like it best when I don't talk alot, lol! It's just a really busy week here on the ole blog! 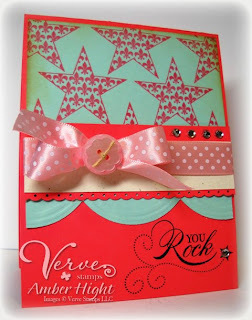 I have a couple more cards to share with you with today's Sneak Peek sets, Starstruck and You Rock! This next card is using the new set c alled You Rock! I wanted to use some girly colors so I used Berry Sorbet, Aqua Mist, and Sweet Blush (PTI). I stamped the star in Berry Sorbet ink. I have been LOVING my new punches, both of these are by EK Success (big scallops are Embossed Curve and I can't remember what the little scallops are called). Don't forget to check out the Verve Blog for more peeks! Angels Landing September Release Blog HOp!!!!! Welcome to the September Angels Landing Blog Hop. 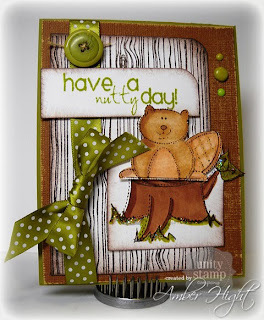 If you missed the beginning, head over to Judi's digi-stamps blog and follow the links. Today the Design Team is introducing two new digital image sets for September, Autumn Tweetings and Ho Ho Holidays. I printed the image out on HP Everyday photo paper (Matte) and colored it in with Copics. I added some glitter to the top of the pumpin and some brads along the right side of the scalloped nestie circle. The dp is called Autumn Abundance by PTI. The sentiment is also from Autumn Tweetings and printed out on the same paper. The next card uses Ho Ho HOlidays! *sigh* what a precious lil bird, huh? Printed out on HP Matte photo paper and colored with Copics (Sentiment too!). 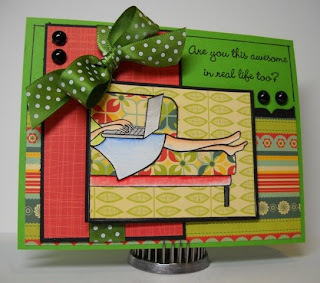 Your next stop on the Blog Hop is >> Donna Smith<< If you get lost along the way, check the master list on Judi's digi-stamps blog. Thanks for visiting, and I hope you'll enjoy the rest of the hop. This first card uses the new set called "Wishing you". It's an extremely versatile set with a wide range of occasions it can be used for! I also used the flower from Budding Blossoms. The sketch is from Julees Release Week Sketch Challenge. The next card uses the sentiment and swans from "Swan Song." I adore this set, it's so gorgeous! 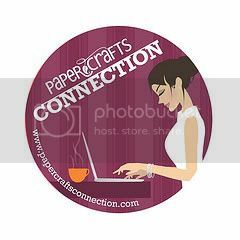 I used my new Labels 9 nestabilities, loooove that shape! Today's theme for us Monday Challenge Girls is Halloween! 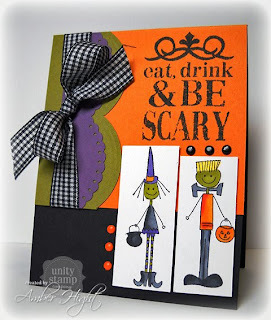 I'm not overly fond of halloween cards, mostly cause I can't figure out what to do with them, lol! Halloween has never been a big holiday for me, I'm scared of the spooks! Ha! BUT thank goodness I had these sweet *not-spooky* little "Trick or Treat Peeps" by Unity Stamp Co.! 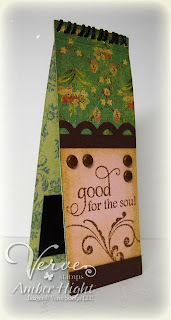 And the fun sentiment is a Studio G stamp I got at Joanne's. I also got to paint my bedroom and guest bathroom this weekend which really sucked at the time but it's SO pretty now! WELL WORTH THE EFFORT! So it being my first Monday back at work and all, I'm pretty tired so I'm gonna go read for a bit and head to bed early:) Ya'll have a GREAT WEEK! See ya tomorrow! Since I just got back from vacation, I had an awesome load of boxes to pick up at the post office and my new September KOM was there! FUN STUFF! I got all inky today and loved it! 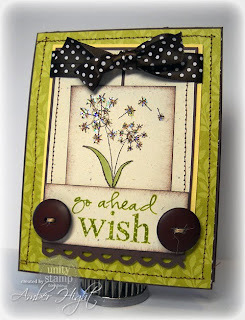 This was the first stamp I wanted to ink up, love that dandelion, and the sentiment with it is PERFECTION! The dp is from SU! and the cardstock is all by PTI (Lemon Tart, Chocolate, Rustic Cream). My next card also uses the September KOM but I have no clue what I was going for when I made it, ha! I love this bird image but was unsure of how to use it, so I just went simple, and with a basically one layer look. I stamped the bird in Baja Breeze and found some Bazzill flowers that basically match pretty well! Well, you know how it is, vacation was FABULOUS! But it's always soooo nice to come home, sleep in your own bed, and be home with the doglets:) I missed them so much! I stamped the butterflies from Enjoy in Old Olive and stamped them off once so they'd be a less intense shade of Olive. 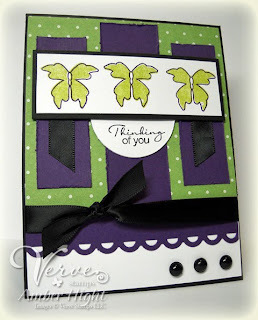 I stamped the outline butterfly in Elegant Eggplant. 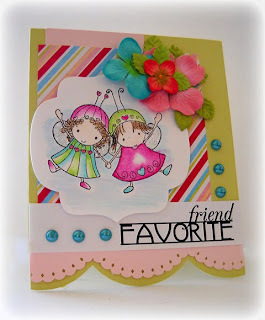 The sentiment is also from Enjoy...this is one fun stamp set! The circlee element is not on the sketch, but I thought I needed an extra place for the sentiment and this worked, lol! 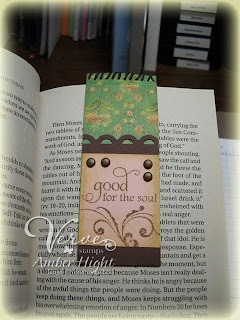 One other project I worked on today was for the Viva la Verve challenge this week, to make a smaller than normal card:) Well I was going to make a Scrapling but decided it would make a cute bookmark and kinda went from there! 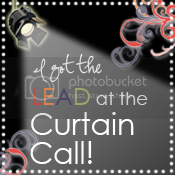 Go HERE to see the VLV challenge details and play along! It's good to be back, I have so much to share and so much I want to stamp!